Narelle here. Welcome to our ACW Tuesday Book Chat where we encourage book lovers to answer our bookish question of the week. I look forward to hearing your thoughts. 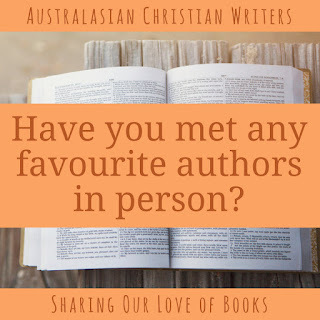 Please join in the conversation in a comment on this post or in a comment on the blog post shared in our Australasian Christian Writers Facebook Group. Let's chat. 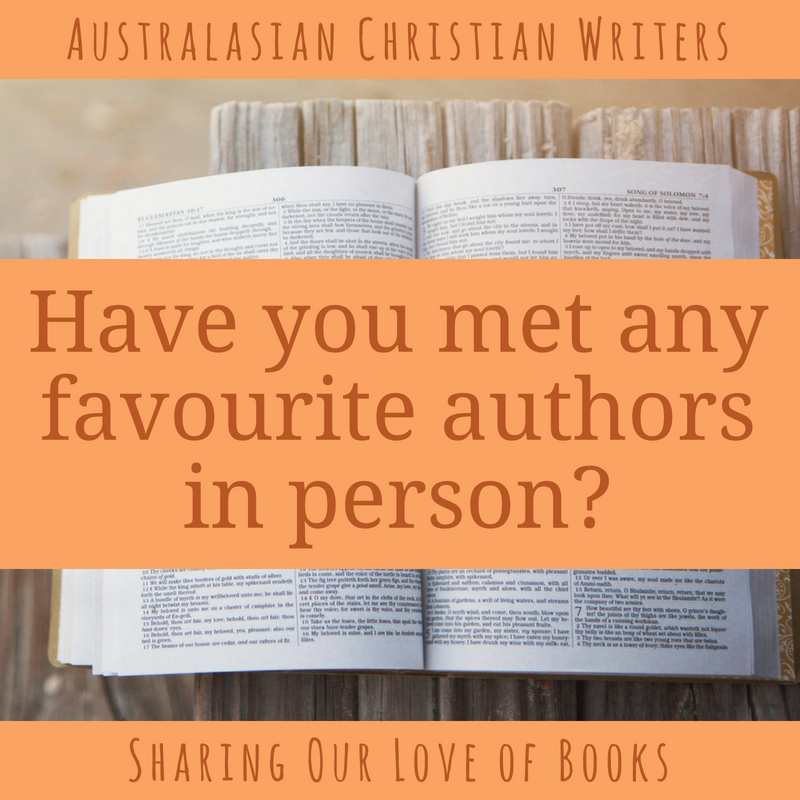 Have you met any favourite authors in person? My first major fan girl moment took place a decade ago. 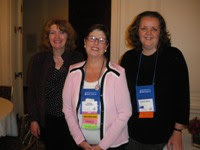 In July 2008 the lovely Debbie Macomber invited all the Australian and New Zealand conference attendees at the Romance Writers of America conference in San Francisco to a special breakfast. My Aussie writing friend Enisa Haines and I were thrilled to meet Debbie. This year Debbie is the keynote speaker at the ACFW Conference in September. I’ve met a number of wonderful Aussie writers, and I’m looking forward to meeting some of my favourite US writers at ACFW this year! Great fun question, Narelle. At ACFW in 2016 I got to have lunch with Ted Dekker which was a real treat. Yes, I met Bill Crowder at a conference at my church (even got autographed copies of some of his books; if you get the Our Daily Bread devotional booklets, you will have read some of his devotions). I haven't met any fiction authors though.